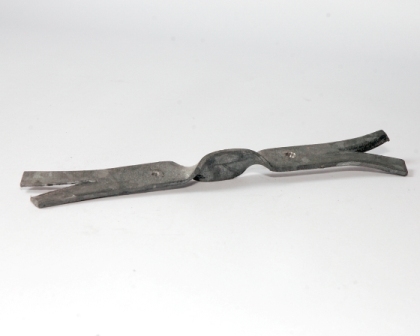 for Securing Door and Window Timber Framework to Masonry. Eurometals Frame Cramps are manufactured from 25mm x 2.5mm galvanised mild steel to BS2983:1982. They incorporate a fishtail at one end for building in to masonry mortar joints and a 50mm upstand at the opposite end for fixing to door and window timber framework through the two holes provided. Standard sizes vary from 100mm girth in 25mm increments up to 300mm girth. Alternatively stainless steel frame cramps and numerous non-standard items are also available. Eurometals vertical twist wall ties are manufactured from 20mm x 2.5mm galvanised steel to BS1449:Part 2:1975 and BS1970:Part 2:1970. They are suitable for cavities 50mm wide and above. The vertical twist profile combats the collection of mortar droppings and eliminates moisture flow across cavities. Standard wall ties are 200mm long but non-standard lengths are available. 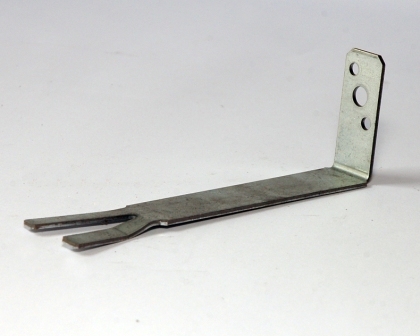 Insulation retaining clips can also be supplied. for the Restraint of Masonry Walls. 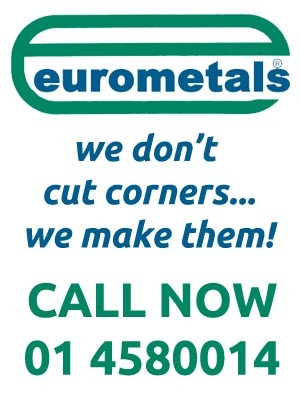 Eurometals Fishtail Ties are manufactured to suit various masonry walls restraint applications and are available from galvanised mild steel or stainless steel material. They are normally supplied from either 25mm x 2.5mm or 25mm x 3mm standard section but other sections and variations to the typical illustrations shown can also be supplied.